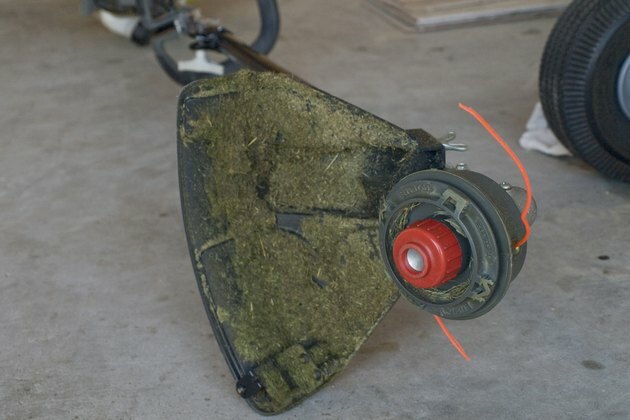 A string trimmer tackles those tough weeds in your yard. The way you take care of your trimmer determines how long it will work well for you. 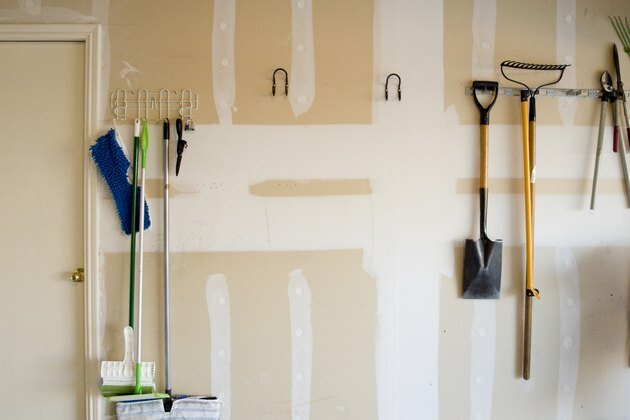 Hanging the string trimmer on the wall in the garage keeps it off the floor, where it can get damaged. Using hangers also keeps your garage organized and saves on floor space. 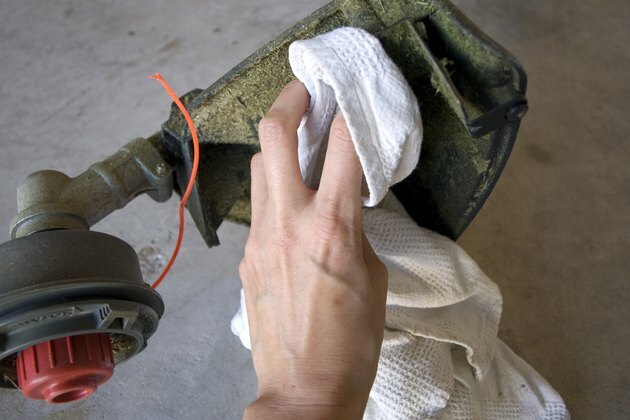 Before you start drilling and hanging holders for the string trimmer, scope out the garage to find the best spot. Measure the length of the weed eater so you can find a spot on the garage wall where the machine fits well. If you have kids, choose a location high on the wall where the string trimmer is out of reach. Choose a location away from any sparks or open flames with proper ventilation, especially if your trimmer is gas-powered. Brackets for a closet shelf and rod work well to hold a string trimmer. The brackets have curves where the closet rod is meant to go. Those curves are ideal for holding the shaft of the string trimmer. The brackets hold the trimmer away from the wall to accommodate the motor. You'll need two brackets to hang the string trimmer horizontally. Space the brackets as far as possible to spread out the weight. 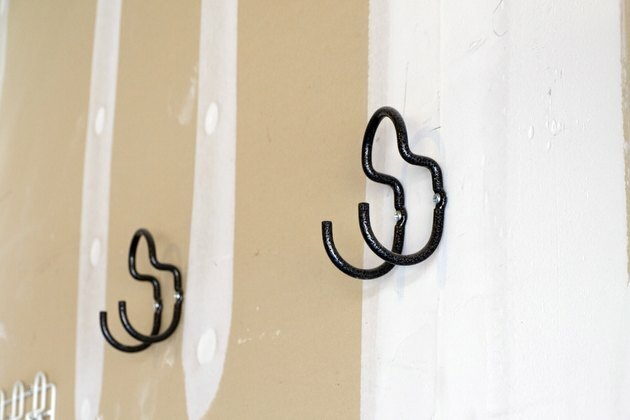 Attach the brackets to studs in the garage wall to ensure they can hold the weight of the string trimmer. Always give the string trimmer time to cool before you hang it on the garage brackets. Clean the machine outside before bringing it into the garage. Brush away the pieces of grass and weeds. Empty the fuel tank before you hang it to store the machine for the winter.